We can install fencing and decking, install driveways and paths using eco grid that can be backfilled to contain decorative aggregate or top soil and seed. The eco grid stabilises the ground, aggregate and turf so that cars can even drive over it while not doing any harm, the major positive it that it will allow water to filter away rather than gather at drains through surface runoff which is a big cause of flooding. We can also build raised beds, repair fences, decking, gates and paths and also provide painting services to wooden outdoor structures. Achieve an advantage over your competitors and have a clean, tidy and professional image that customers are attracted to. To give the right impression to potential customers please contact us to discuss a maintenance plan to suit you. 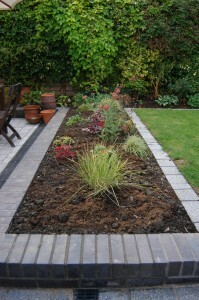 Do you have a garden that is badly in need of maintenance or are you unable to maintain your garden any more? 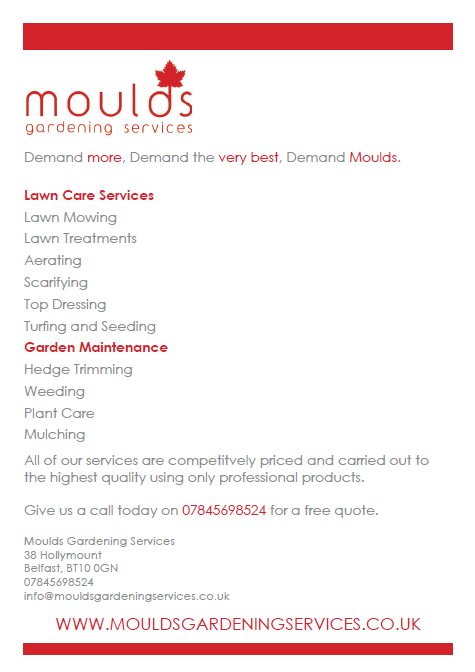 For all gardening needs the garden maintenance specialists Moulds Gardening Services is here to help!